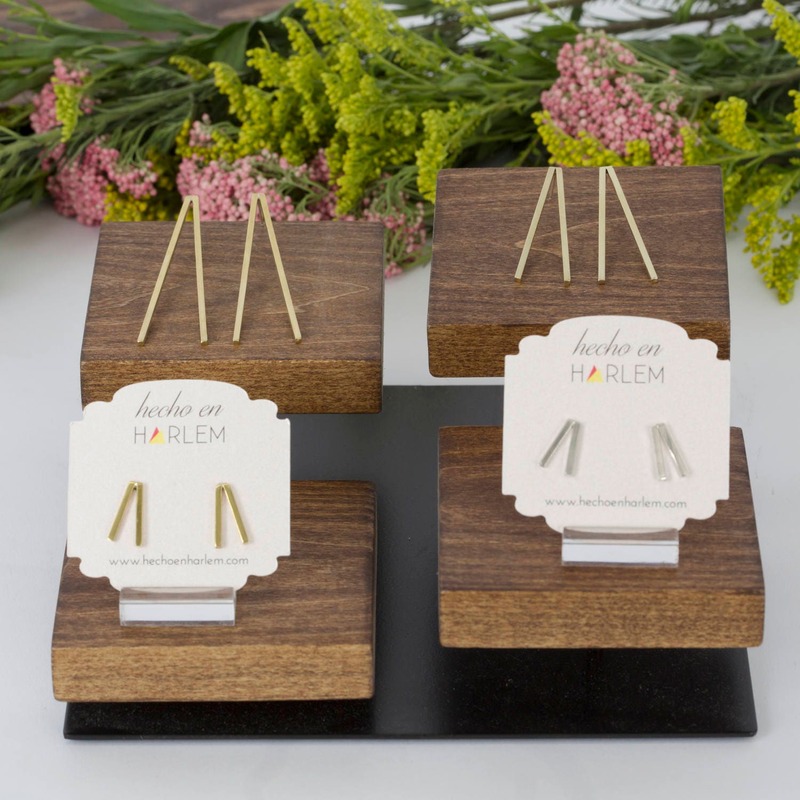 These beautiful drop earrings are an Hecho en Harlem top seller! This simple design highlights the designers love of geometric form. Choose your preference of Brass or Sterling Silver Long (3") or Short (2"). Ear posts and earring backs are sterling silver for sensitive ears. These earrings are light and comfortable to wear. Beautiful earrings - compliments casual and dressy outfits! These earrings are stylish and I can't wait to wear them! Shipping time was as communicated. I will definitely buy from this shop again!